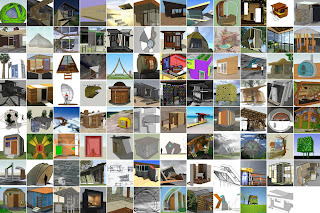 The Design It: Shelter Competition launched about six weeks ago, and the response so far has been phenomenal. You owe it to yourself to visit the Guggenheim website to check out the projects that have been submitted so far – almost 100 and counting. By no means is it too late to participate – the competition doesn't close until August 23rd. Check out the website for all the juicy details. The ghost of FLW (along with the rest of us) can't wait to see the fruits of your creative genius.